New Trends In Natural Fabrics: Shoes, Bags & Coats Made From Phellinus Ellipsoideus! According to Life Materials.EU site, this parasitic mushroom is the new vegan leather! "MuSkin is a 100 % vegetable layer alternative to animal leather. 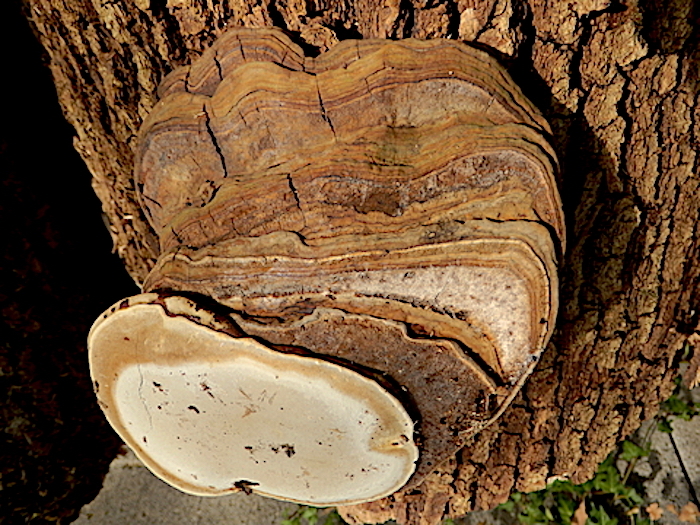 It comes from the Phellinus ellipsoideus, a kind of big parasitic fungus that grows in the wild and attacks the trees in the subtropical forests. The total absence of toxic substance makes Muskin ideal for the use in close-to-skin applications and thanks to its very natural origin it limits bacteria proliferation." Bolt Threads, a San Francisco based biotech company focused on created sustainable fabrics from nature is working with these mushrooms also. "We developed Mylo™ from mycelium cells by creating optimal growing conditions for it to self-assemble into a supple, sustainable material that looks and feels remarkably like animal leather. Mylo™ can be produced in days versus years, without the material waste of using animal hides.."
It has been reported that Stella Mc Cartney is collaborating with Bolt Threads and will be designing bags, shoes, and clothing with this material. It takes a month to grow 59 square yards of this mushroom fabric. In the photos on the Bolt Treads site you can see a photo of the ersatz leader. It is good for the trees and good for those who are vegan minded.